Katherine E. Bash, "Compass Rose, Floating Point Operation," 2008. In response to these questions the École normale supérieure in Paris (ENS-Ulm) and Béatrice Joyeux-Prunel launched a vast research project in 2009. The ambition was to study arts and letters in a socio-spatial perspective that takes into account the spatial turn of Social Sciences. The result is ARTLAS, a digital atlas of arts and literature history which combines spatial, social, cultural, and esthetic questionings, with a narrative/descriptive approach, and visualization techniques, including charts and maps created with GIS technologies (Geographic Information Service). The reliance on a cartographic approach and multi-scale analysis grows from the conviction that we can transform the geohistorical reflections that Thomas DaCosta Kaufmann presented in Toward a Geography of Art (2004) into maps, and that the atlas model can contribute to meeting the challenge of global art history James Elkins exposed with Is Art History Global? (2006). Still, the format of ARTLAS is motivated by the conviction that we cannot separate the analysis of artistic circulations and globalization from the study of territorialization of artistic practices. In order to present ARTLAS on the American continents and engage in a dialogue with American scholars, the ENS is teaming with Purdue University to organize a conference which will take place on September 27-29, 2012 at Purdue. We have invited Professor DaCosta Kaufmann and Professor Elkins to present their respective takes on a global art history and the use of maps as art historical tools, while philosopher Edward S. Casey will address the links between art and maps. 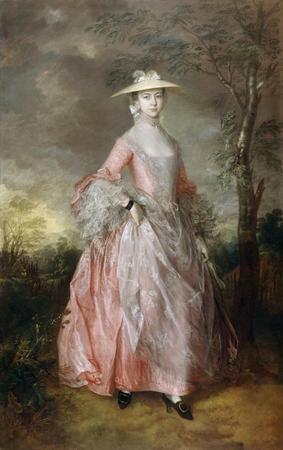 On June 3, 2012, the Museum of Fine Arts, Houston, will debut the exhibition Rembrandt, Van Dyck, Gainsborough: The Treasures of Kenwood House, London, whose four-venue national tour was announced today by the American Federation of Arts in New York. An exhibition of forty-eight masterpieces, this will be the first tour of this important group of works from the Iveagh Bequest and will provide a unique opportunity to see these superb paintings outside the United Kingdom. Most of these paintings have never traveled to the States before, and many of them have rarely been seen outside Kenwood.